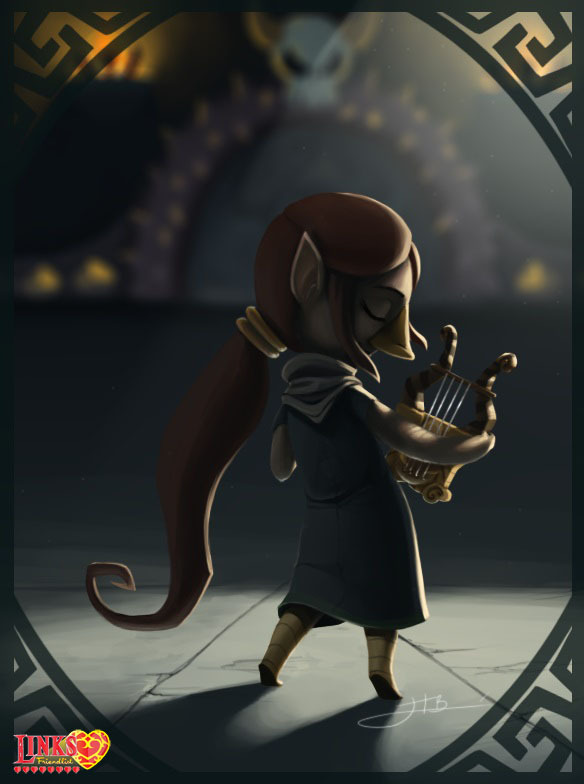 Welcome to the part of Link’s Friendlist about Medli from The Legend of Zelda: The Wind Waker! The two illustrations about Medli were drawn by the GA-HQ Newcomer Zoulouluvu from Canada who just got a Wii U with The Wind Waker HD shortly before we announced our Link’s Friendlist project on deviantART. 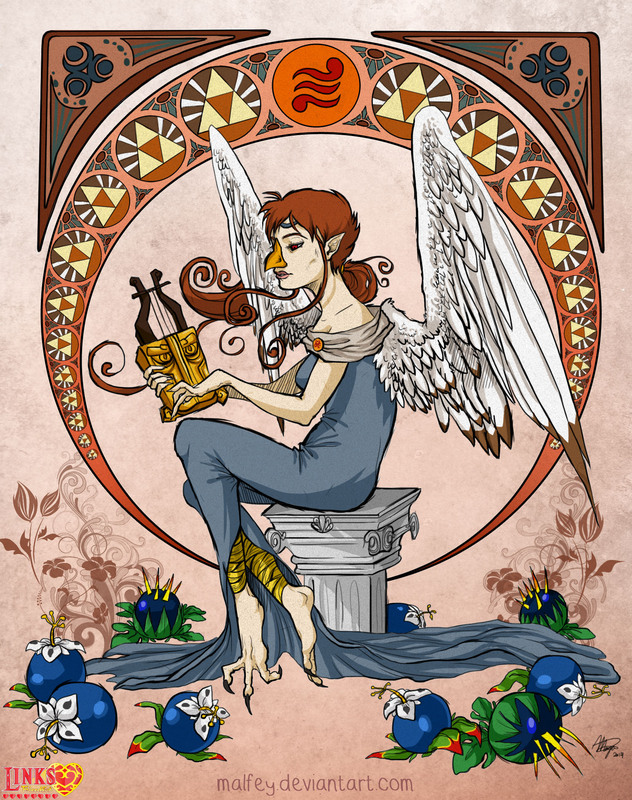 The second illustration is by Malfey from Lebanon who drew some awesome submissions for Link’s Blacklist before and used the “Art Noveau” Style for her take on Medli. Medli is her most favourite Legend of Zelda character and that’s clear to see in her work! Thanks a ton for being a part of Link’s Friendlist you two! 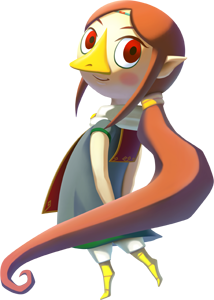 Medli is a young Rito, a race of anthropomorphic birds and one of the few characters the player can control besides Link in the Zelda series. She accompanies Link through two dungeons and becomes the Sage of Earth and besides that she is probably one of the cutest-looking Legend of Zelda characters ever. After the battle with Ganon at the end of the game, she picks up Link and Tetra and can be seen during the ending credits being reunited with Prince Komali, another character who is not yet a part of our Zelda Project.